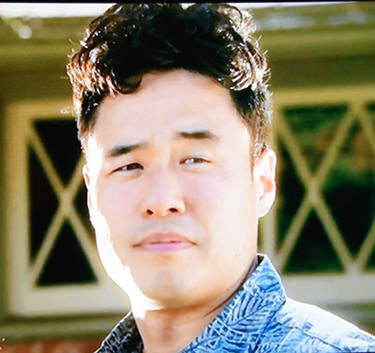 Randall Park has had such a big year as the star of “The Interview” and as the comedic anchor of “Fresh Off the Boat.” He even won a V3con award from the Asian American Journalists Association in Los Angeles this year for representing. But if he wants a shot at an Emmy, he’d better talk to Easter Xua. There’s no success perm for Randall this year. But Xua may consider finally getting one. Until then, Randall will have to go straight. As far as my eyes can tell, as I gleaned the list, Xua has to be the most honored Asian American among the nominees for the 2015 Primetime Emmy Awards. He may even be the most nominated Asian American ever. How many Asian Americans have won seven Emmys and been nominated 36 times? But you have to go practically to the bottom of the long list of categories and nominees to find his name. Xua is a camera operator, Cinematographers Union Local 600, and he’s nominated for no fewer than three Emmys this year. It’s not greed. He’s just talented and in demand. The first of this year’s nominations is for Outstanding Technical Direction, Camerawork, Video Control For A Series. Xua is nominated for “Dancing with the Stars,” episode 2009 (I believe it’s the semi-finals). Xua was on camera to catch every last dip and spin. It’s a tough category though. He’s up against Fred Shimizu, a two-time winner and 11-time nominee, who runs a camera on the “Late Show with David Letterman.” (Show 4214 got nominated, which, of course, was so much better than Show 4213). And then there’s Terrance Ho, video control for “The Voice” Episode 718B. It takes some doing to synchronize all those spinning coach seats to get every last white tooth on camera. For Ho, it’s two nominations this year, eight overall in his career, and he’s still looking for his first win. And just to prove what an incestuous community Hollywood is, Ho is nominated for video control for the Oscars in the Outstanding Technical Direction, Camerawork, Video Control for a Limited Series, Movie Or A Special. And that show also includes Xua on camera (his second nomination for the year). Xua adds a third nomination for camerawork for the “Kennedy Center Honors” in the same category. But wait, like the Ginsu knife, there’s more! Add one, maybe two more names. The 68th Annual Tony Awards got nominated in that very category, and lo and behold, there’s Ka-Lai Wong, Senior Video Control, and Ernie Jew, on camera. Jew, I shall presume, is not Jewish but Asian American. And that’s where Asian Americans tend to show up in television. We’re in deep. Behind the scenes. Go up the list of nominees and you’ll find Ai Nakata of “Mad Men” for Outstanding Hairstyling for a Single-Camera Series. Two nominations for Robert Lopez for Outstanding Original Music and Lyrics. I’m sorry for the Filipinos with Spanish surnames (it’s the same problem in political polling) or married, non-hyphenated Asians who now are undetectably Asian in print, so I may have missed one or two of you. My apologies. But the Asian names that were more obvious are sprinkled all throughout the list of nominees. Kodai Yoshizawa for “The Knick,” and Outstanding Prosthetic Makeup For a Series, Lmited Series, Movie or Special. Prosthetic? Did he fix all the noses and busts? Makeup artist Mi Young for HBO’s “Bessie” was in the non-prosthetic category. And when we’re bottom heavy on the list of nominees, in the crafts, stereotypes develop. And star turns aren’t our turns. This year, I thought Randall Park and Constance Wu would have a shot to get some Emmy love. “Fresh Off the Boat” had a chance for Best Comedy. I thought the pilot had great promise, but the weekly episodes rarely surpassed that level. Maybe when you’re not on cable like many of the other nominees, the real edge of FOTB gets lost and it all seems homogenized. Not that the elements weren’t there. It’s just in execution, one wonders how much edgier and funnier the show would have been if it were more representative of Eddie Huang’s urban hybrid/”black-ish” Asian perspective–and on cable? But look at the other series that got nominated. Only “Modern Family” and “Parks and Rec” were network shows. I think “P&R” is funny, but academy voters seemed to be willing to award it for the grand finale. “Modern Family” has become a staple. But aside from me wanting to look at Julie Bowen (nominated just as supporting actress, and not lead actress), the show’s gotten a tad stale. All the other shows nominated have a cable edge that make “FOTB” seem bland. “Louie” is my favorite and even featured an Asian American shopkeeper in one episode. But it’s barely a comedy, more like an art film masquerading as sitcom. “FOTB” has a built-in edge as the only prime-time sitcom with a window into the Asian American soul. But it seems more into showing off our universality, hence the blandness. More subtitled humor to differentiate from the rest, please. For me, Randall and Constance have become the real reason to watch. So I’m disappointed that Emmy nominators couldn’t squeeze them in the supporting category. It’s a crowded field, but Randall and Constance did some breakthrough work this year. It may be enough that the show got a second season. But I hope the show takes a few more risks while it still has the chance. If it does, there’s no reason why it can’t break through and garner Emmy gold next year. If it doesn’t, well, at least we still have our 36-time nominee Easter Xua.